If you’ve got a few questions about our camps, participation, or BaxterSports in general, please take a look at some of the frequently asked questions that other sports parents have inquired about in the past. If you don’t find an answer here, please send us a message via the Contact section and we’ll get back to you shortly. Is aftercare available for the camps? Yes. After camp child care is available for nearly all camps and is specified on the event page within the website. My kid has never played soccer. Is that okay? It sure is! Our Kids Soccer Camps cater to athletes of all skill levels. Each coach is experienced and knowledgeable about the game and can bridge the gap between encouragement and skill-building. The camps are held in a few different places. All of the Spring and Winter Break Camps will be held at the Eastmoreland sports facility. Locations for the summer and soccer camps tend to vary but can be found on the individual camp pages with driving directions found on the locations page. If we could legally guarantee something like that we would. But since we can’t, we’ll just say that our camps have been providing a fun, exciting, and encouraging environment for children for over a decade. As we’ve been voted Portland’s Best Summer Camp four years in a row, we’d like to think we’ve found the magical formula for putting on a great camp! What sports do you play at the all sports camp? Our All Sports Camps include softball, dodgeball, capture the flag, soccer, basketball, kickball, and more! Do you have camps near me? That depends! 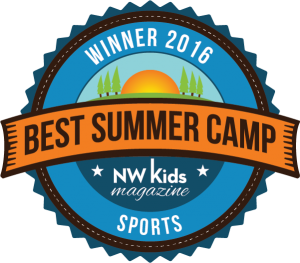 BaxterSports hosts camps in the Portland, Oregon metro area. If that’s near you, sign your kids up for a camp and come check us out! Will the camps help my athlete's development? Absolutely. Our founder, Brian Baxter, is not only a former collegiate athlete but has been a practicing Sport Psychology counselor for over two decades. His vision is to provide an environment that is both enjoyable and challenging. The athletes at our camps are provided with tools they need to develop their skills, as well as themselves as a whole. How are the kids grouped/can my child be in the same group as a friend? We group campers by age range, so they are generally in small groups with kids their own age. They will spend most of the day with their peers, and part of the day with the larger group, interacting with all ages. We can absolutely put kids in groups with a friend (or two or three). Simply make the request with the camp director when you arrive.